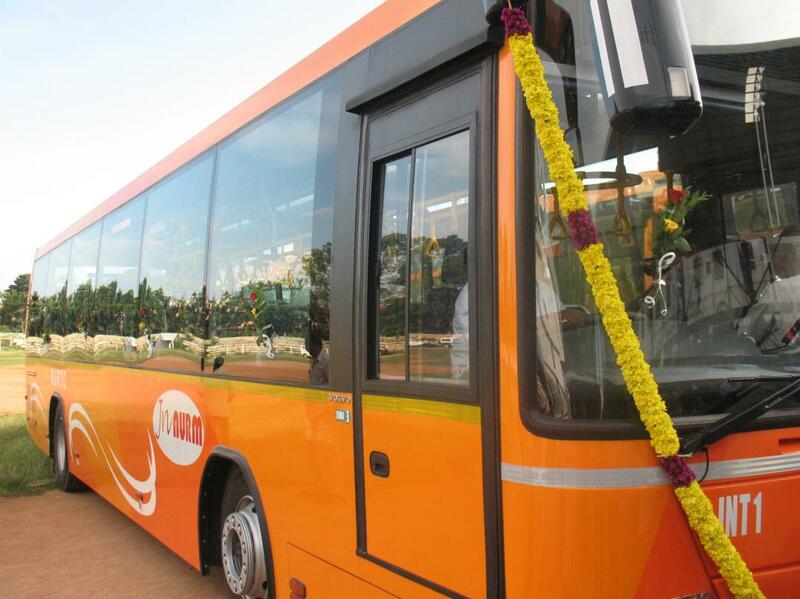 C.M, V.S.Achuthanandan inaugurated the Volvo low-floor buses in the city on Tuesday, . Flagging off eight orange-coloured AC buses at the Central Stadium, comfortable service at low fares.The number of two-wheelers and cars on city roads is shooting up, choking city roads. At the most, one or two people ride in these vehicles.four buses will ply on the Kovalam-Kaniyapuram route and two buses each on the Sasthamangalam-Airport and the Kowdiar-Airport routes. The buses will operate daily service from East Fort to the starting points.Its LFB!!!!!! tvm jnnurm buses are in loss .njaanum tvm thanne de.. erunakulathu ac busil yaathra chethu..housefull aroor-angamali route. kochile buses running in profit.tvmil itharam bus ellam vendaam.namakku paisa patti chintha kooduthal..